Layout to be any shape but square! Paper Rolling or Quilling must be used on your layout! 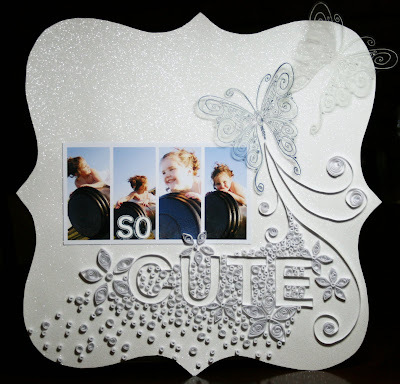 Stamping to be used on your layout and be a prominant feature (not just a little stamp in the corner). 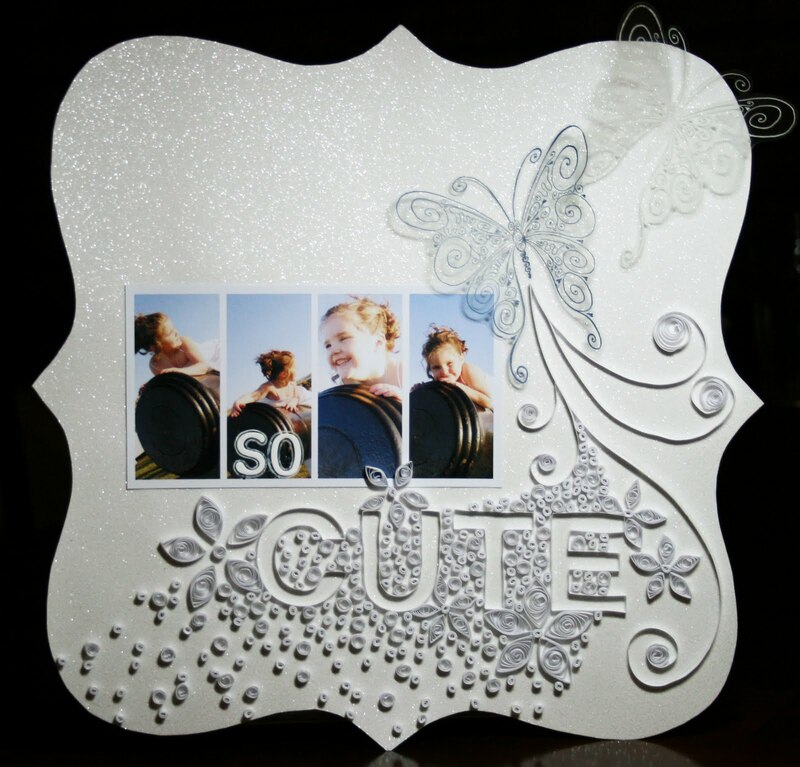 An embellishment to be made using acetate/transparency (you can also include any of the above criteria on your embellishment). 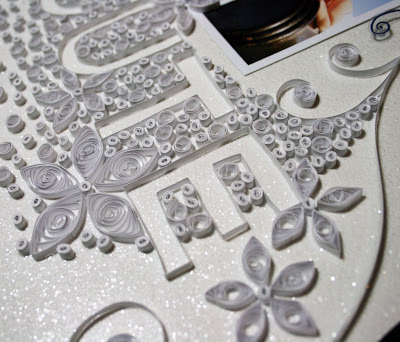 I had bought a quilling tool some time ago at a closing down sale thinking that it would be something I might like to try some time in the future. Feeling all organised and self-satisfied, I got it out and realised (to my dismay) that it had no hole in the end which meant that the paper was not held in place while you were rolling! WT? Fortunately, my LSS Scrapbooking Delights owner Sandra Staples very kindly came to my rescue, and loaned me her quilling tool to use for the challenge...thanks San! After this challenge, the number of contestants was reduced to 19.